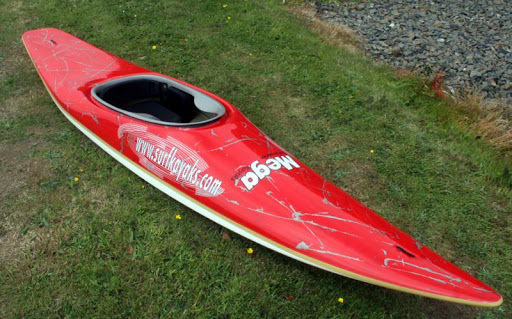 A collaborative project with World and British Champion "Ben Thomas", the Trident is going to appeal to those that are looking for a kayak that's smaller in stature but Big on Performance! Developed from the now legendary Jester Titan significant changes have been made, not least of which is the reduction in length down to 3.02mtrs. Increased rocker in the bow and softening of the rail at the front allows for the steepest of take-offs with no fear of burying the nose. Creature comfort is improved by utilizing the cockpit arrangement taken from the Airforce and Cyclone. Subtle changes in hull profile has ensured that "Down the Line" speed has not been compromised with the shorter length,whilst maneuverability is even better!